Look who’s already six months old! 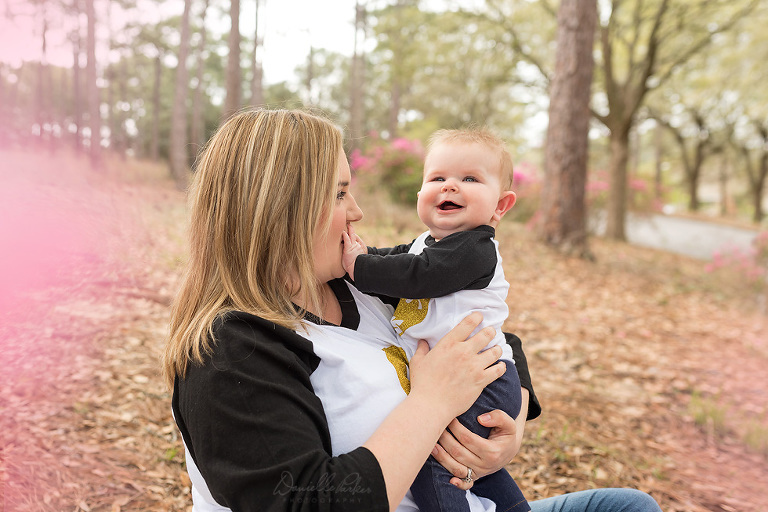 I had so much fun catching up with sweet and smiley Miss M at her Mommy and Me milestone session last week. I can hardly believe it’s been that long since we first met at the hospital last September. Where has the time gone?! One of the things I love most about what I do is getting to watch these little ones grow up. It’s one thing when you’re a parent watching your own precious baby change from day to day. It happens so gradually and the changes are so subtle that it’s often difficult to recall just how tiny they once were. You catch yourself now and then thinking… how did you get to be so big? 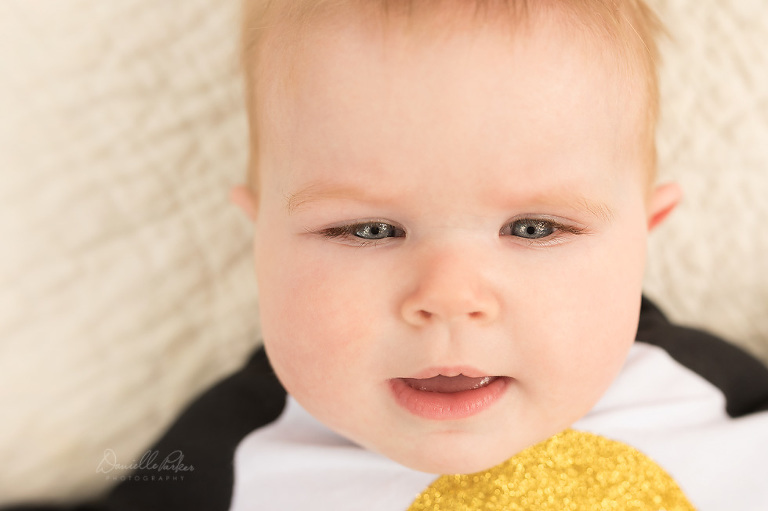 Being a photographer though, when I think of the babies I’ve photographed I perpetually see them as they were in the images I captured. It’s something else to see those fleeting moments of infancy replaced abruptly when I meet up with them again at their milestone sessions. They really do grow and change so quickly. 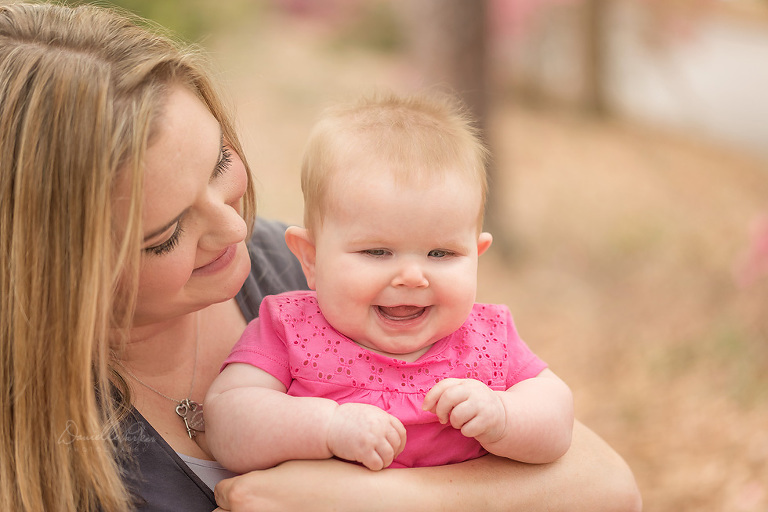 While this happy, gorgeous baby girl has most certainly grown in leaps and bounds, she’s still just as smiley as ever. And apparently she still likes to stick her tongue out at me, too. 😉 That picture was one of my favorites from her newborn session, and now we have another FOUR to match it! 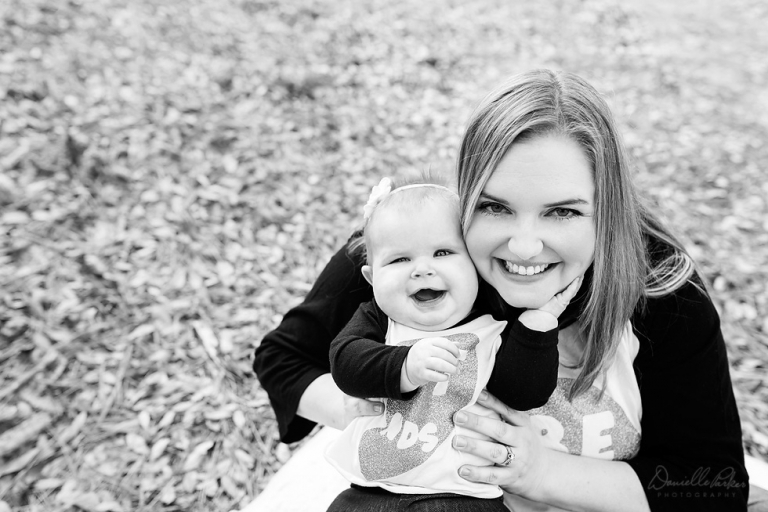 When this mama and I started planning Miss M’s six month milestone session we got to talking about how difficult it is as a mom to be in pictures with our kids. 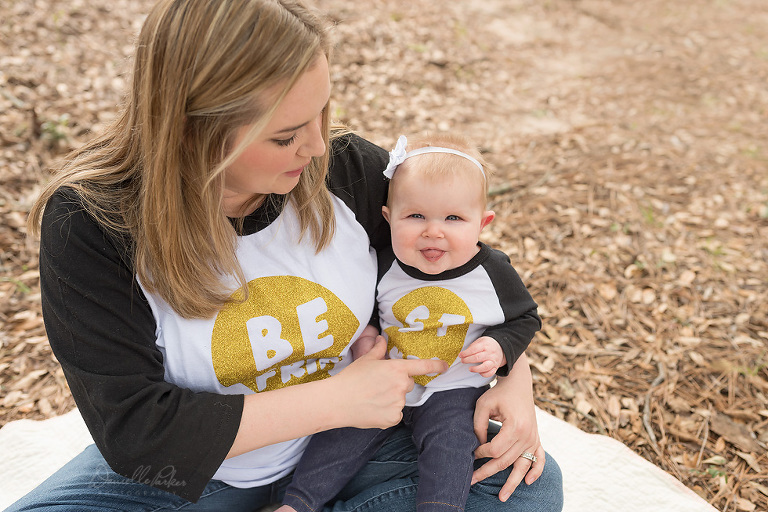 Moms are often the ones behind the camera and it can take a lot to get us out in front. So when she mentioned she would like to be included in the session, I jumped at the chance to photograph them together. So thank you mama for letting me also capture this bond of y’alls as she continues to grow up. Sweet M, you’re such a pleasure to be around and your smiles are contagious. You’ve already gotten so big! Try to slow down just a little bit for your mommy and daddy. I can’t wait to meet up with you again!